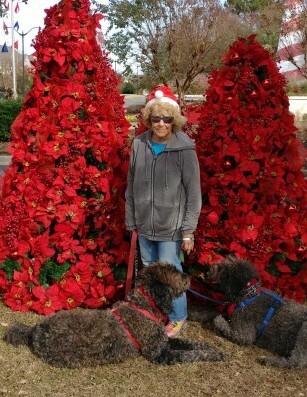 Donna, (Miss Donna) Ruedinger passed away unexpectedly at her home in Myrtle Beach on Tuesday April 2, with her beloved labradoodles by her side. She was “forever” 39. Donna was born in Wausau, Wisconsin, and graduated from Wausau High School. She married her high school sweetheart, Larry Schaefer, and together had 2 children: Jeff Schaefer, and Tammy (Bryan) Anderson. Donna Pursued a career in the hospitality industry with degrees in accounting and hospitality management, and worked in all levels in hotels, first in Wausau and then throughout the country. Finally, she became manager at the brand-new Crown Reef Resort, literally involved from the ground up, hard hat and all. She became General Manager, and enjoyed over 20 years of success with the iconic landmark. She was loved and respected by everyone involved there. She especially enjoyed travel to many tropical islands and countries, her passing will surely be felt in the cruise industry, and Key West and Jimmy Buffet will miss her as well. She is survived by her first husband Larry Schaefer, son Jeff, and daughter Tammy. The love continues with 4 grandchildren and 5 great grandchildren. She is further survived by her brother, Tony Howe (Wendy) with whom she was very close. Donna was an open and loving person, yet very private. In keeping with her wishes the family has decided to have a small celebration of her life in her hometown of Wausau at a later date. Donna dearly loved her Labradoodles, “Blue and Josh” and her cat, “Maxwell Smart”. She would appreciate memorials to the local Humane Society, ASPCA, or other kindness to animals.